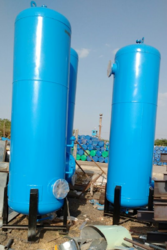 Leading OEM Manufacturer of air receiver, industrial air receiver tank, vertical air receiver tank, ss air tanks, air compressor tank and air receiver tank from Ahmedabad. We are among the pioneers in the industry for manufacturing and supplying Air Receiver. The offered tanks are made in tune with the industry standards and have earned us loads of profits. These tanks are robust in terms of construction, durable, leak proof, non-corrosive and ideal for automobile and electrical industries. Being resistant to wear and tear, it is extensively demanded. 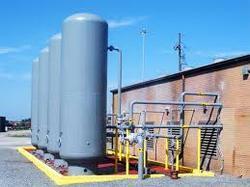 The Industrial Air Receiver Tank is Section VIII Division I code latest addition. 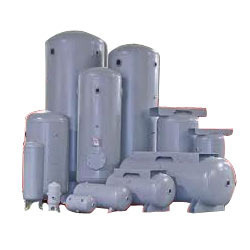 Most ASME pressure vessels, compressed air tanks, and air receivers Manufacturing. Exterior surfaces are painted with a coat of standard shop primer. Special interior and exterior coatings per customer specifications can be quoted. Capable of producing pressure vessels, compressed air tanks, and air receivers as small as 2" in diameter at 3,000 PSI to as large as 120" in diameter. Custom fabricated design capability. Full engineering staff at your service. We have earned a sterling rotation in the industry for manufacturing and retailing Vertical Air Receiver Tank. The offered tank is made in tune with the industry standards for offering the best to the customers. It is compact in size, dimensionally accurate and resistant to abrasion. Being sturdy and durable, it is highly demanded nationwide. 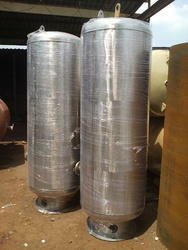 We have earned a sterling rotation in the industry for manufacturing and Export SS Air Tank. The offered tank is made in tune with the industry standards for offering the best to the customers. It is compact in size, dimensionally accurate and resistant to abrasion. Being sturdy and durable, it is highly demanded nationwide. we are biggest Indian stander Manufacturers & Exporter of low pressure & high pressure Air compressor with Air Receiver Tank. 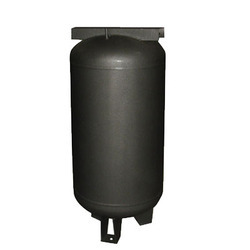 We are among the reputed names in the industry for manufacturing and supplying Air Tank. 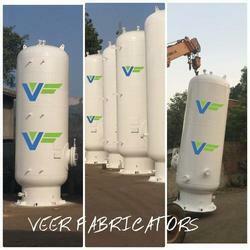 The offered air tank is made in tune with the industry standards for meeting the variegated demands of the clients. It is exceptional in terms of dimensional accuracy and sturdy in terms of housing. This air tank is used for supplying compressed air to compressors and has earned us loads of profits. We are among the pioneers in the industry for manufacturing and Export ASME Receiver Tanks. The offered tanks are made in tune with the industry standards and have earned us loads of profits. These tanks are robust in terms of construction, durable, leak proof, non-corrosive and ideal for automobile and electrical industries. Being resistant to wear and tear, it is extensively demanded. We have earned a sterling rotation in the industry for manufacturing and Export IndustrialAir Receiver Tank. The offered tank is made in tune with the industry standards for offering the best to the customers. It is compact in size, dimensionally accurate and resistant to abrasion. Being sturdy and durable, it is highly demanded nationwide. We are among the distinguished names in the industry for manufacturing and supplying Industrial Air Receiver Tank to our revered clients. The offered tanks are made in tune with the industry standards and have earned us loads of profits. 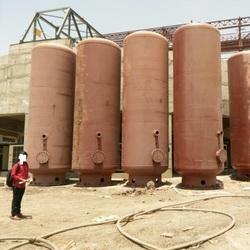 These tanks are robust in terms of construction and are durable as well. The offered tanks act as a reservoir of compressed air for air compressors.